First come the selfie stick, which was by all means an unnecessary but all the same popular product. Then came the hilarious April Fools day prank that was the selfie shoe. Now, If you are alone and cannot get on Tinder but have the utmost urge to take a selfie, there might be a solution for you. Sounds like a bad joke? Well its not. A pair of US artists have created this absurd gadget that makes those in the picture look as though they are holding hands with a loved one. The creators say they were fascinated by the idea of technology and its illusionary ‘connectedness’ and ‘sociableness’ to come up with the arm. The product conveniently provides you a welcoming arm. and better yet, it doesn’t talk or have emotions of any sort. 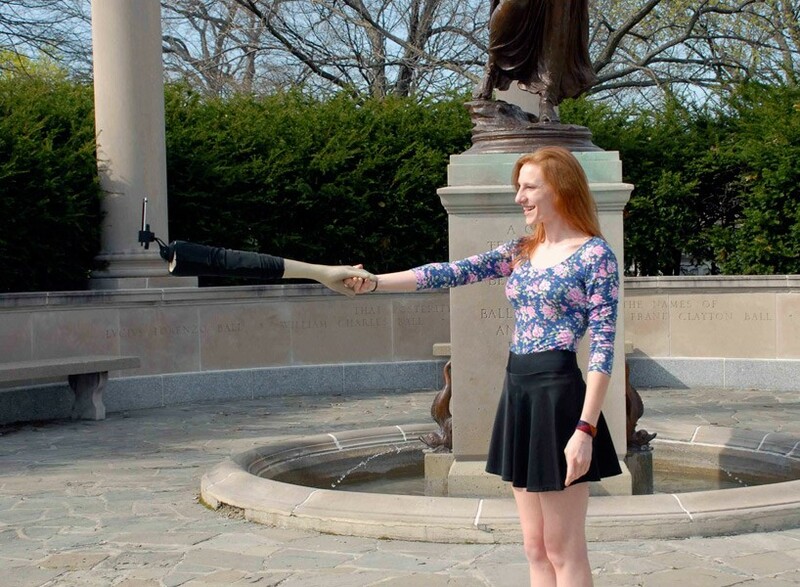 The selfie arm’ is made of fiberglass, is lightweight and portable, and fortunately only a prototype. I am not sure why anyone including #TeamForeverAlone will get this.